Okay, here's the last one for Tim's 12 Tags of 2012. I do hope he continues on for the new year. I basically stayed kept to his plan, but I did add the Tissue Wrap like I did on my December tag. I also added the Snowman Blueprint "Glazed Mosaic" piece, which is the challenge at Linda's Compendium of Curiosities II Challenge from Tim's book pg. 60. 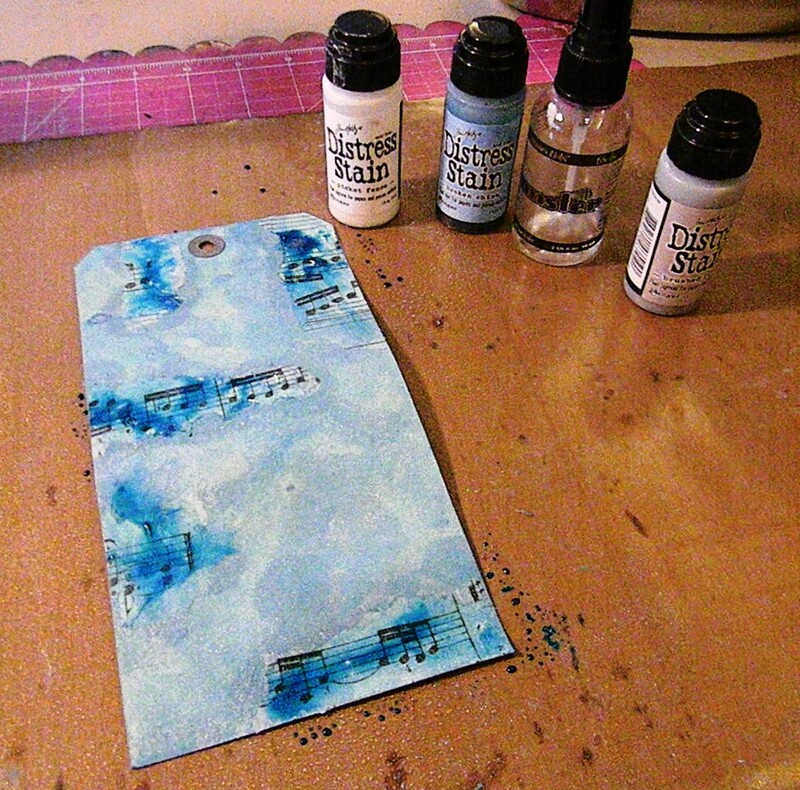 I used Broken China, Brushed Pewter, and White Picket Fence Distress Stains for my background. I decided to try something a tiny bit different on the Glazed Mosaics. I stamped first in Jet Black Archival, and wanted to see if it would come off using Tim's technique, and it did not, so that was good. LOVE IT, especially the glazed mosaic! Beautiful take on Tim's tag - I love hoq you did the word snow on the tissue tape and added the snowflake embellishment. Your glazed mosaic turned out great too - nice touch! How perfect that you have a snow tag-we've had our first snow in 2 years yesterday! This is a wonderful tag! Grgeous! 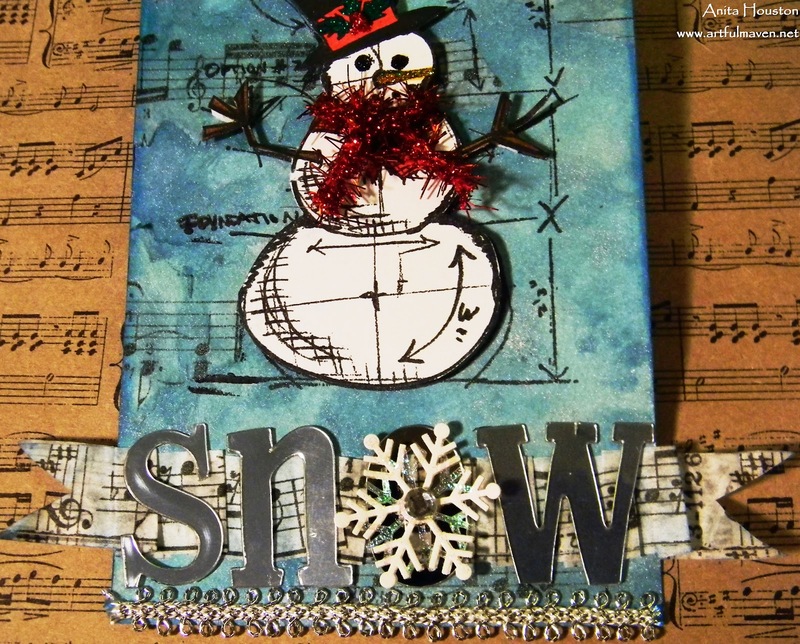 I love the snowman embellishment. WOW!!! It is so gorgerous Tag. 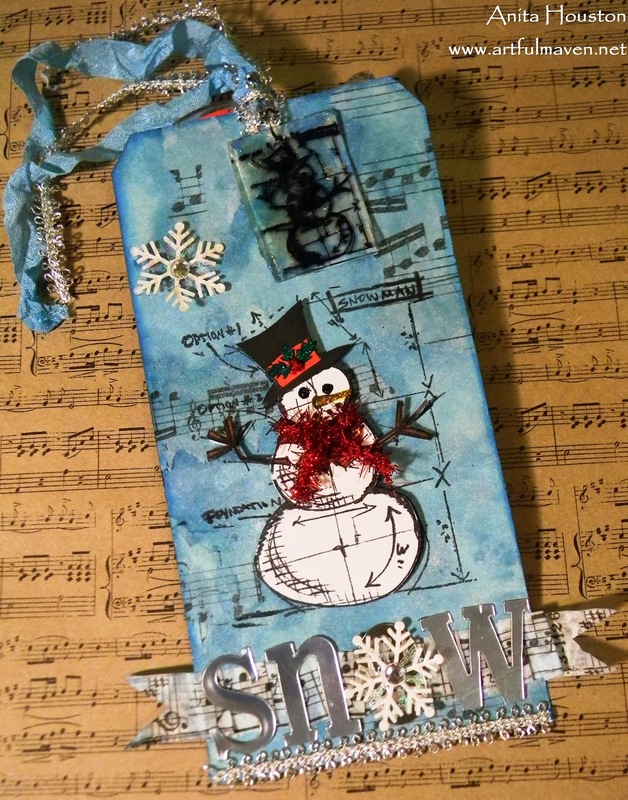 I love this snowman stamps and all elements of this Tag. The snowman is genial and wonderful. And the background is really stunning I love this blue colour. I can't take my eyes off this fantastic Tag. Such a pretty tag Anita! I love the addition of the tile you made. I thought the little guy would rub off, but am so glad it worked. Thanks for sharing the step by step. I have the pot, and it doesn't get enough use! 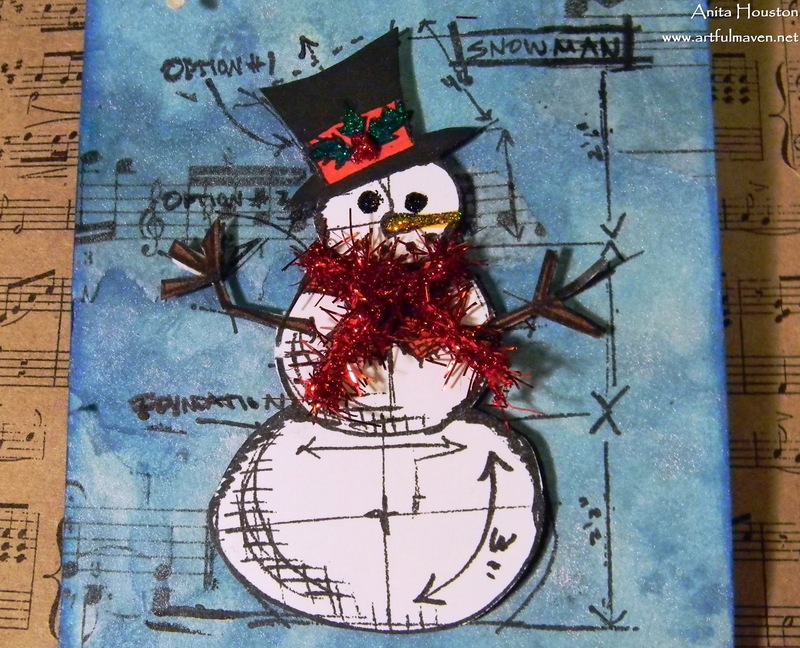 Love the background and how you decorated the snowman too. I better get cracking on my tag! really beautiful! I am always in awe of these complex creations. The result is stunning. A stunning tag! Love what you have done with this one! Very creative, as always!! I love your little mosaic snowman, if it has a snowman on it then it is great-lol. Thanks for showing the process you went through to make this wonderful tag. Nice tag Anita! I love how the snowman pops off the blue background. 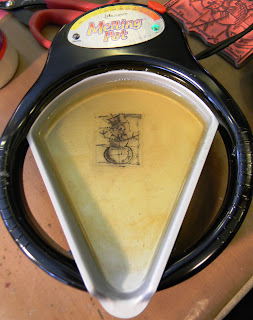 I didn't think about stamping on the shrink plastic before putting it in the melting pot. I'll have to give that a go. I didn't like the results when I tried shrinking first. Happy New Year to you and your family! Love this tag! Awesome work!! Love it Anita! That little glazed mosiac turned out perfect! What a great idea! Wow, that's a fantastic tag, love all the details. 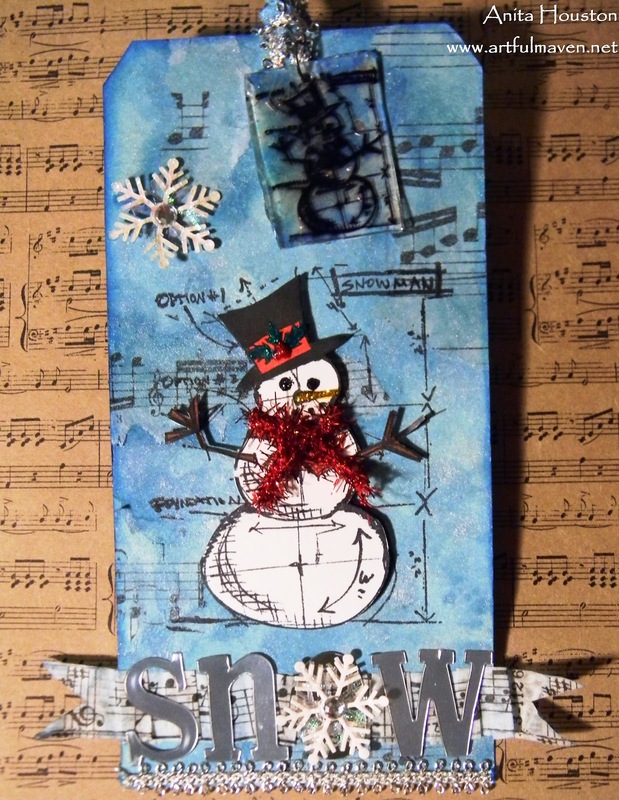 Love that background and your fabulous shrinkie Snowman! 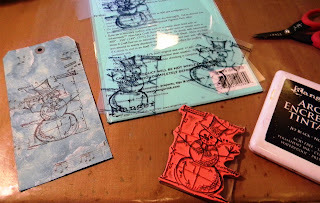 What a terrific way to showcase that stamp and the technique. Darling tag Anita. love your little glazed piece. I hope Tim keeps doing his tags every month too. Such a great tag...I love your little mosaic piece...it looks as though the snowman has been captured in ice. The background is just fabulous. The mosaic piece is a brilliant finishing touch to a gorgeous take on Tim's tag... I love him all dressed up in his tinsel scarf - genius! 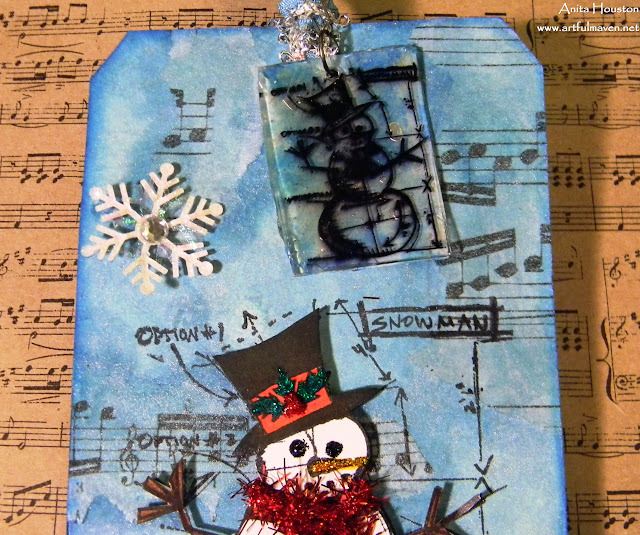 Brilliant Anita, a fabulous wintry tag and the mosaic is a masterpiece. Naerly missed this one with all the hoopla of the holidays. Love the matching little embellishment you made with UTEE. The tinsel scarf is magic. Such a great tag. 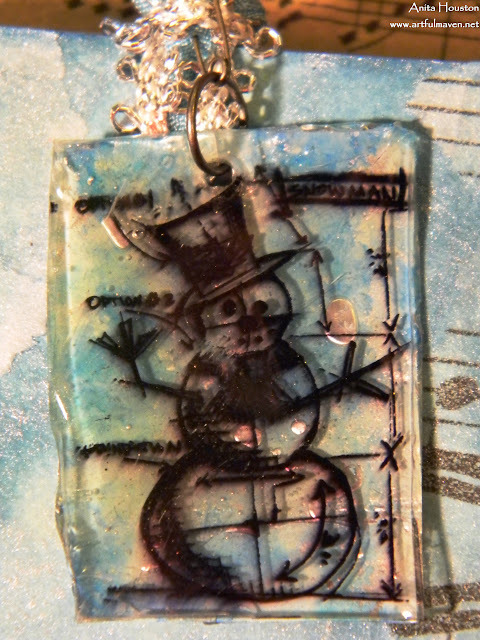 I love that Mosaic snowman piece. I hope your New Year's was wonderful. Here's to a another great year of creating! Gorgeous! I haven't worked on my tag yet, but you've just motivated me to do so. I like what you did with the shrink plastic and wax pendant. Happy New Year! 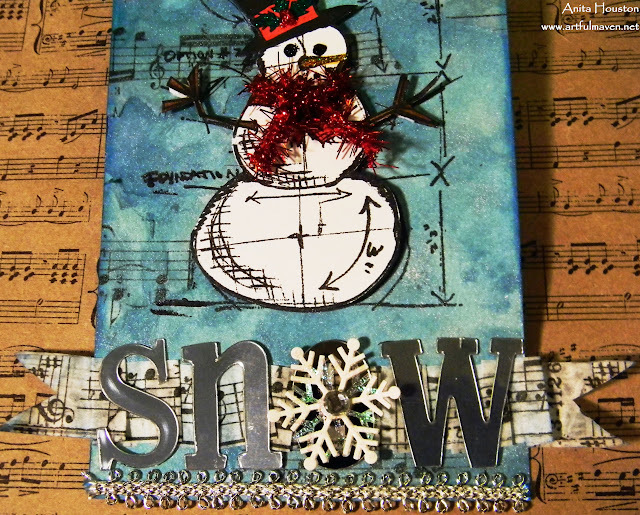 Lovely mosaic snowguy! The background has such a frosty feel and is so cool!!! Wishing you a wonderful 2013! It was a pleasure to be your DT Sister! Hugs!